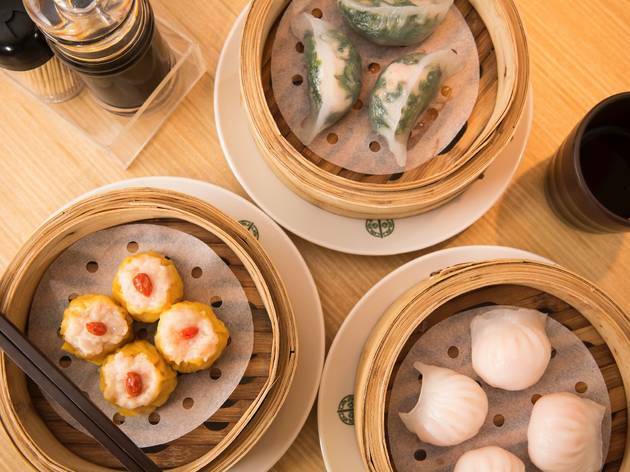 Love dumplings? Who doesn't? 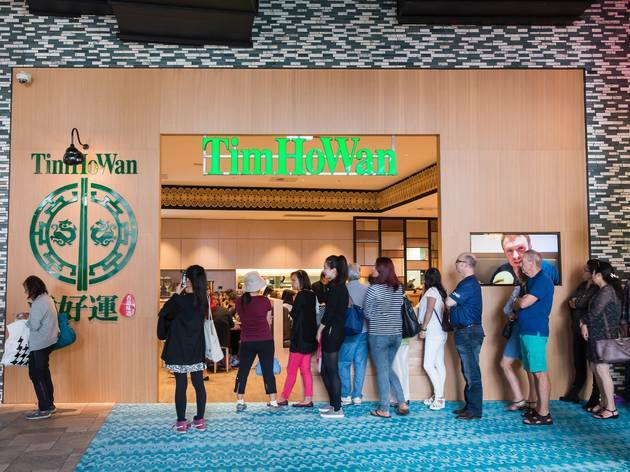 You were probably as excited as us about the Sydney arrival of Tim Ho Wan, home of the world’s most highly lauded dumplings. 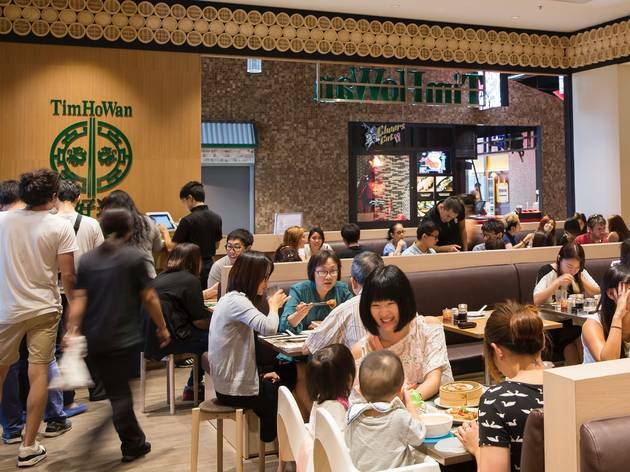 The crowds quickly queued up outside the Chatswood restaurant, not surprising given each of its Hong Kong outlets boasts a Michelin star. Like them, we expect big things. 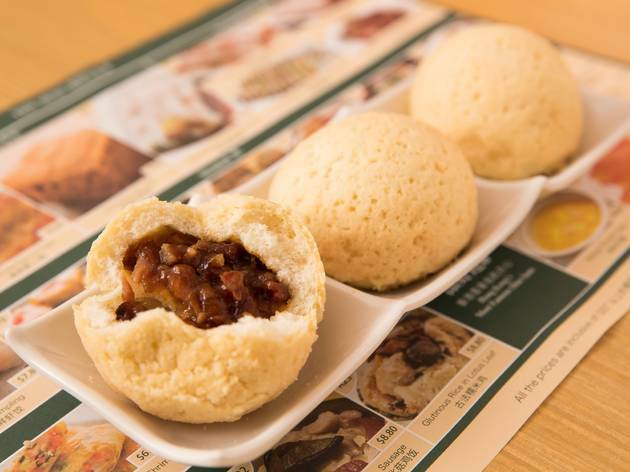 The dumplings are what everyone talks about, and the big gun – the Ryan Gosling of the dumpling world, if you will – is the baked bun with barbecued pork. Because it’s baked, don’t expect your usual sticky parcel; instead the pastry is aerated, crispy on the outside and soft on the inside. They pour something on the top that can only be described as a sort of baked-on icing, which means when you bite into it, it crackles before falling apart in your mouth. The pork is tender and flavoursome, set within a dark, stock-rich gravy that somehow manages not to spill everywhere when you eat it. It's not 100% savoury – the sugary topping threatens to take into dessert territory. It’s a fun dish worth ordering, but – sorry, folks! 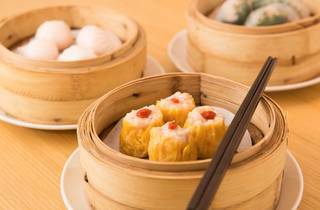 – not likely to be the best dumpling of your life. As for the others? 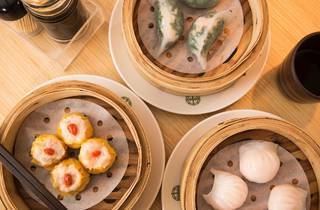 An astonishing 12 folds of casing enclose crunchy prawns in the har gow, though we like the more simply folded spinach and shrimp option more. 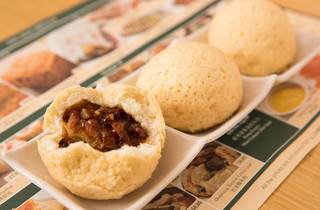 The casing is finer, the filling more balanced. 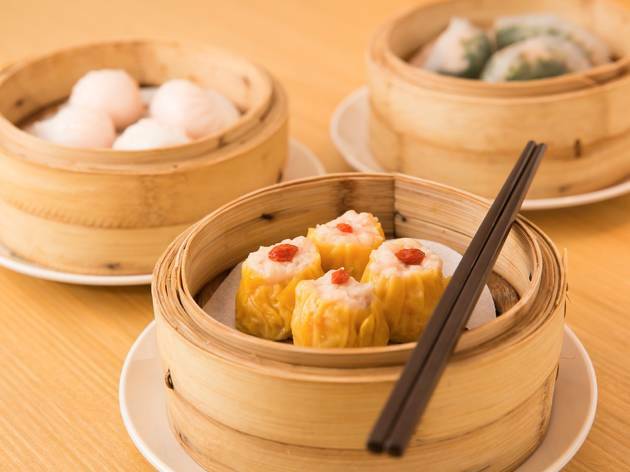 The shumai dumplings are also good, but quite heavy. 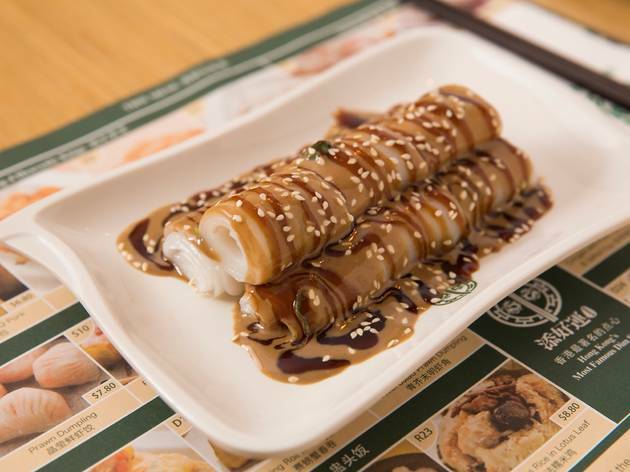 Rather than ordering the beancurd skin rolls, which lack depth of flavour, go for the vermicelli roll with sesame. 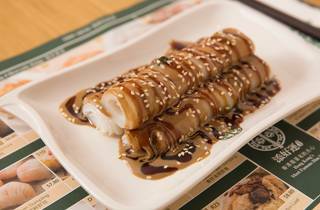 Silky folds of noodles are alternately drizzled with a creamy sesame dressing and hoi sin sauce – so simple, but texturally great, and an interesting side-dish. 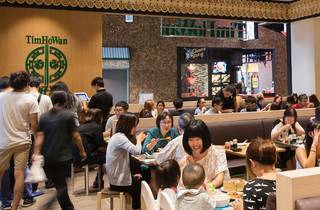 Apparently in Hong Kong, there’s buzz around four dishes in particular. 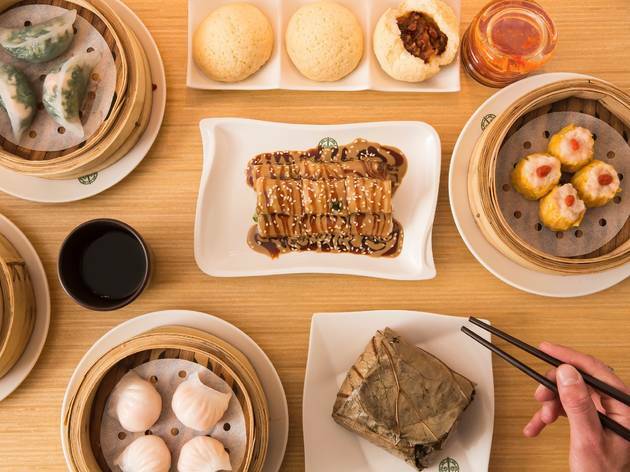 They're known as the Heavenly Kings and include the baked dumplings, a steamed egg cake, vermicelli roll filled with pork liver and a pan-fried carrot cake. 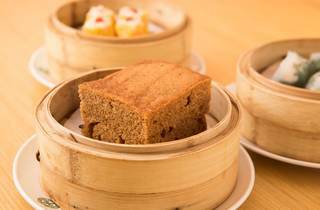 The steamed egg cake is like an ultra-light, eggy sponge that, although it may feel more like dessert, arrives at the start of the meal. 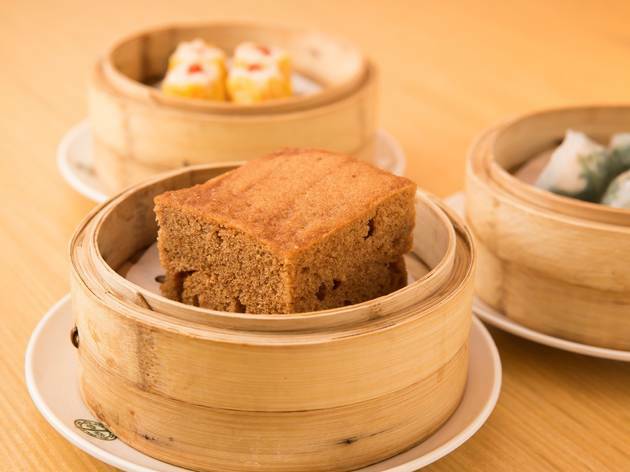 The carrot cake is nothing like the sweet, cinnamon-tinged version we know and love – it’s actually made with radishes. It's ultimately a vehicle for the chilli sauce on the side, and doesn't taste like much on its own. 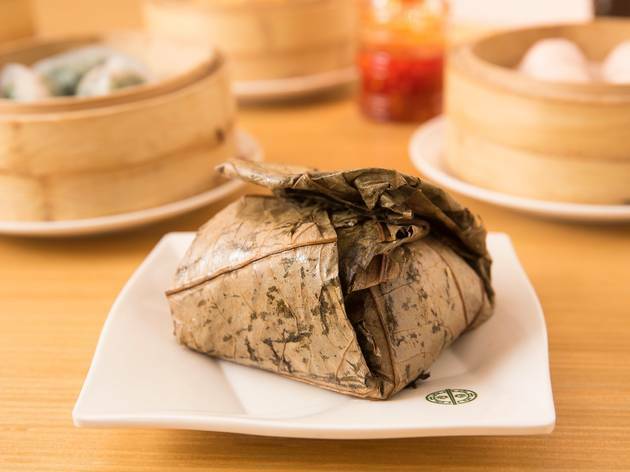 We advise skipping it and instead ordering the glutinous rice in lotus leaf. 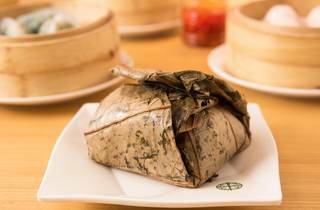 Stickier-than-sticky rice is cooked in a leafy parcel which you unwrap at the table. 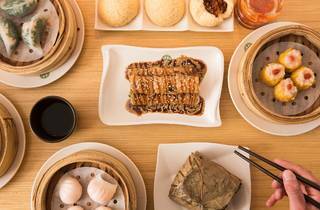 It's heavily seasoned with soy and dotted with chunks of spicy lap cheong (Chinese sausage), shredded chicken and mushrooms. It’s a hearty feed, and easy to share if you're with a group. 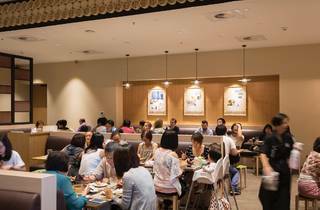 The vibe here is reminiscent of Din Tai Fung – busy and somewhat hectic, with fast, efficient service. 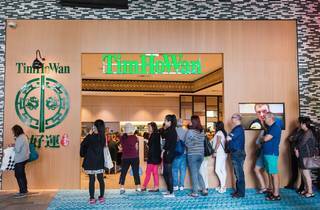 Tim Ho Wan is, we're sorry to report, not quite the greatest thing to happen to Chinese cuisine in this city; we already have some awesome Chinese offerings over the bridge in Chinatown. 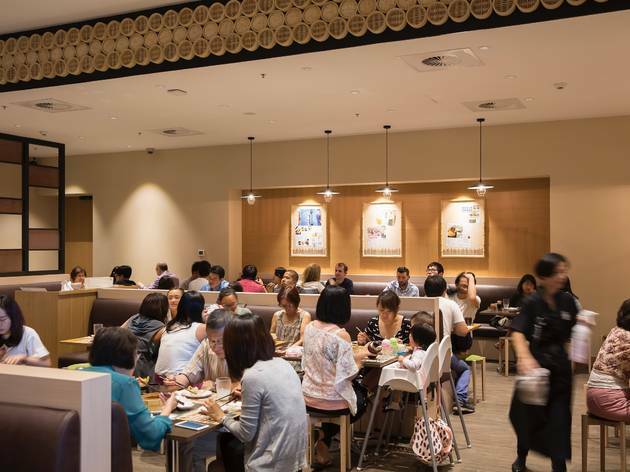 But it’s a good time, and perfect for a quick, cheap after-work dinner. Just make sure you allow time for that queue – because it doesn’t look to be dying down any time soon.